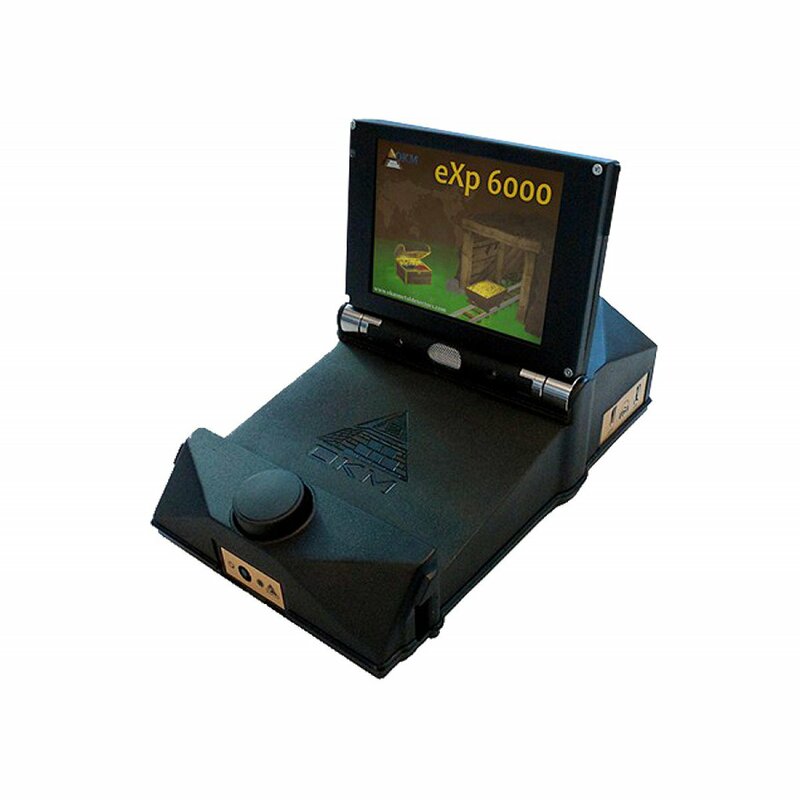 The eXp 6000 ground scanner and 3d metal detector is one of OKM’s top of the line detecting tools for treasure hunters, metal detectorists, archaeologists, prospectors, gold seekers and ground surveyors. This detector is completely wireless and can be controlled by either touch screen, Android video eye glasses or Android Tablet PC’s. It is the world’s first 3d ground scanner that utilizes OKM’s new invented Telescopic Probe that can be extended from 50 to 120 cm. This very new invented measuring probe can be extended from 50 to 120 cm and is perfectly designated to scan even large areas as well as small fields. From now on the operator don’t need to carry around many probes in different sizes. This ground scanning probe will stream measuring data directly onto the display of the eXp 6000 to see underground objects “live”. So the operator of the 3d ground scanner can quickly survey a large area to find potential targets underground.